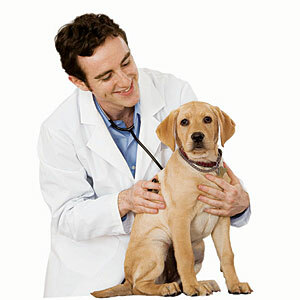 Below is a list of 4 items presented in order of least important to most important of things that can greatly improve your veterinarian’s relationship and effectiveness with your dog. Starting at number 4) Ensure you are calm and relaxed before and during your visit at the veterinarian’s office in order to make your dog less nervous or anxious. Your dog is looking to you for cues just like children do with their parents in scary situations. For example, how you handle the leash at the veterinarian’s office may communicate to your dog in ways that tell him or her that bad things are about to happen. Coming in at number 3) Before you get a new dog from a breeder or rescue organization, whether puppy or adult, check with your veterinarian about the special physical needs of the breed you are considering in order to get the best breed fit for you and your family. Likewise, it is beneficial to do the same for a breed’s behavioral propensities by seeking the advice of an independently certified dog behavior consultant, specialist or behaviorist. At number 2) When you first notice your dog may be developing a serious physical issue, don’t wait. See your veterinarian before the issue becomes worse and addressing it becomes more difficult and costly. Likewise, it is beneficial to seek the advice of an independently certified dog behavior consultant, specialist or behaviorist if you begin to notice serious behavior issues developing such as aggression, fear or separation anxiety. And the number one thing your veterinarian wants you to do is 1) Get your dog acclimated to being handled by others. This includes ears, mouth, paws, the rump and all of the other places veterinarians commonly touch. 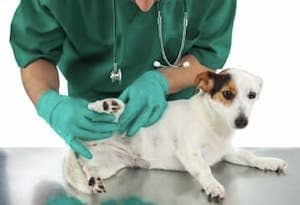 You want your dog to be quite comfortable being touched prior to going to see the veterinarian. For more information on how to do this, see Does your dog dislike being touched? Here’s what you can do.